Custom Amazon merch will make your brand a household name. Amazon is one of the biggest companies and hottest brands in existence right now. In fact, Amazon alone makes up nearly 50% of all online sales in the United States. The company’s products are also hot commodities. Amazon’s line of “smart speakers” (including the Echo Dot) makes up around two-thirds of all U.S. smart speaker transactions. That’s huge when you consider that Amazon is in direct competition with other tech giants like Google, Apple, and Facebook. Likewise, Amazon is one of the first names in e-readers with their line of Kindle devices. In 2017, Amazon sold $75-million worth of Kindles, making it far and again the number one e-reader in the world. The relevant point here is that Amazon’s products are highly desirable, and, if you’re looking for a promotional item to give out to your clients or employees, it is hard to go wrong with something like custom Amazon Echo Dots and Kindles. The value of branded Amazon products should be readily apparent: they provide value to the recipient, increase your brand recognition, and improve your favorability among prospective consumers. Beyond that, it’s just good to be associated with Amazon, a brand well-recognized for its innovations and supreme quality. What Are Amazon Echo Dots? If you’re unfamiliar with Amazon Echo Dots or why they might be useful as promotional products, never fear. We’re here to clue you in. Amazon Echo Dots are smaller, hockey puck-sized versions of the original Amazon Echo, a “smart speaker” and artificially intelligent “personal assistant.” These speakers connect wirelessly to the internet and provide you with news, weather, music, to-do lists, appointment reminders, and answers to virtually any question you can lob at them. Unless you’ve been living under a rock for the past few years, you have probably seen ads for the Amazon Echo and its smaller Dot companion that involve people activating the device by saying, “Alexa.” Indeed, Amazon Echo Dots are all voice-activated and can understand numerous voice commands from users. More recent versions of the Echo Dot can even order pizza or call an Uber for you. Clearly, there’s a lot to like when it comes to the Amazon Echo Dot, and it’s obvious why the device is the number one-selling smart speaker on the market. They are also simply fun to use. You can literally spend hours asking the device a litany of questions to hear all its unique and often funny responses. Of course, promotional Amazon Echo Dots can provide something a little extra. Not only will your prospective clients be enthralled by the obvious value of the device, they will also always be reminded of your company’s logo and its clear generosity. Not many businesses would be willing to give away such an in-demand device, and it’s a gesture your customers won’t soon forget. At iPromo, we also offer a couple of different Echo Dot generations with several customization options and even specialized skins that can encase the device and provide a little more pop. The Amazon Kindle has also been virtually impossible to ignore since its debut in 2007. Although it wasn’t the first e-reader to make it to the market, it certainly made the biggest splash, notoriously selling out within the first five and a half hours of availability. The concept was simple: a convenient, read-able device that could hold thousands of books at a time. It also didn’t hurt that it was produced by Amazon, the world’s largest online bookstore, and was connected to the company’s Kindle Store. It doesn’t take a rocket scientist to see why having your logo on custom Amazon Kindles can help boost your business. Again, it’s an exemplary product that will be used often by the recipient. 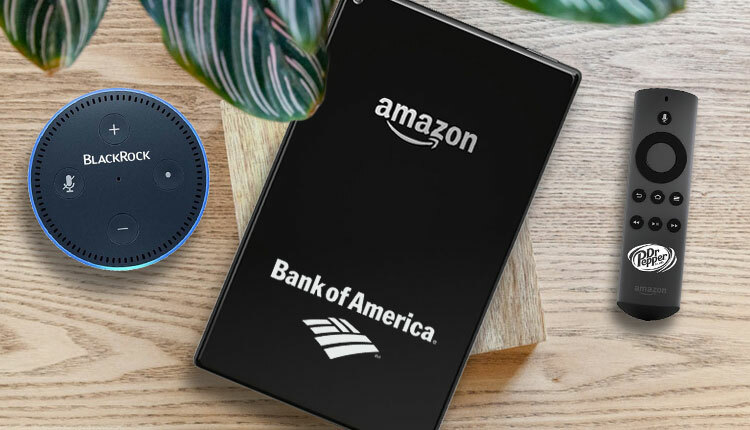 Unlike Echo Dots, Kindles are also mobile, meaning that users will take them to public places and essentially offer your company free marketing. There are also a couple of customization options you can employ at iPromo. You can choose different colors along with whether you want your logo to be screen printed or literally laser engraved into the device. But, why else are both the Amazon Kindle and Echo Dot valuable promotional products? According to a 2016 study by the Advertising Specialty Institute (ASI), people generally keep promotional products for a period of about eight months. But, custom Amazon Echo Dots and Kindles are not standard promotional products. It is more than likely that these devices will become staples of household use for many years to come. This is particularly true for those who don’t already have a smart speaker or e-reader of any kind. Again, the value of a product that has such extensive staying power is that your brand will never leave the recipient’s consciousness. Your customer will almost always be reminded that it was your company who gifted them with a decidedly unique and useful device. Branded Kindles can also produce an untold number of impressions when taken beyond the home. It’s not uncommon to see someone reading a kindle on the subway on their way to work or even at a restaurant or cafe. Because a Kindle is mobile, it’s more likely to widen the spread of your brand awareness. But what happens when the recipient of your gift upgrades to a different model? After a while, a new generation of Echo Dots or Kindles is bound to be released. Does that make your branded Amazon Echo Dots or Kindles obsolete? Not at all. In fact, that same ASI study we mentioned above also pointed out that around 63% of those who receive promotional products end up giving them away to others. But, because promotional Amazon Kindles and Echo Dots retain their value so well, it’s possible your branded products could be passed around to multiple different owners in their lifespan. Even as new iterations of these products get released, there will always be someone who will enjoy your branded Amazon products, ensuring that your logo will be seen by potential consumers for years to come. As we have clearly demonstrated, Amazon products are highly valuable. They are also not easily replaced by other items that an individual might already have. While items like tote bags or pens can serve as very effective promotional products, they often exist in abundance in most homes. By contrast, someone who receives custom Echo Dots or personalized Kindles won’t be able to choose to use a cavalcade of other similar devices on any given day. That is to say, very few people have multiple smart speakers, e-readers, or tablets that they can rotate through. Tote bags and pens, however, can be replaced by whichever bag or pen is most convenient at the time. Many people simply just don’t have these products lying around in their homes. By providing your customers with one, you will have allowed them to experience a popular and distinctive item while ensuring that your brand gets all the credit for years to come. Receiving a gift of any Amazon product will certainly engender positive feelings toward the benefactor. It is more likely to result in increases in brand loyalty, brand favorability, and brand recognition. In fact, a recent 2019 study by Promotional Products Association International (PPAI) showed that 85% of consumers would rather do business with a company that gave them a promotional product than a company that didn’t. When you take into account the value of an Amazon product, in general, that percentage is only bound to increase. Giving the gift of branded Echo Dots or Kindles certainly shows that you place a lot of importance on your relationship with your clients. It also shows that you spent the time and resources to get a gift that actually matters. Tech savvy gifts are also a great way to show that your business is relevant and up-to-date with all the innovations. It would be easy to get a more traditional gift, but something like an Echo Dot is uniquely pertinent to the times. Yes, buying branded Amazon products is going to be more expensive than other, more traditional promotional items. There is no question about that. But, at iPromo, you won’t be on the hook for buying hundreds of devices in bulk. In fact, the minimum order requirement for custom Amazon Echo Dots, Fires and Kindles is only 12. The most inexpensive Echo Dot (the 2nd generation) will run you about $60 apiece fully customized with your logo. But, when you consider all the other factors including the device’s lifespan, its uniqueness, and its value to the consumer, you will see that it is well worth the investment. Promotional products offer customers a great deal of value. They also offer businesses a way to get their names out there and foster relationships. Very few promotional gifts will be as well-used as custom Amazon products. There is no doubt that they will become ingrained in any household’s daily functions. Even when the initial recipient gives the device away, your custom branding will still provide impressions (and warm fuzzy feelings for the new owner). If you are interested in using promotional Amazon products to market your company, then look no further than iPromo.